With no insurer covering their damage, termites (also know as white ants) are one of the biggest threats to your family home or business. The Bega Valley is full of beautiful trees and forest but the downside is that termites thrive here, and they want nothing more than to eat away at your building, bringing the safety of your structure into question. The problem commonly is that you may not even know the infestation is occuring. Undetected, they often cause serious damage and rack up tens of thousands of $$$ in repairs. At Bega Valley Pest control, we use the latest termite control methods and technology to detect and eradicate in and around your home or business. After an inspection you’ll receive an honest report of any damage inflicted by a colony and recommendations on a suitable treatment plan. We only use the latest proven and industry leading products combined with expert knowledge and experience in effective termite control. a pre-purchase pest inspection beforehand. 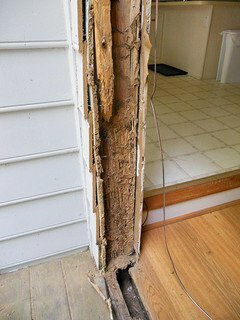 If you suspect termites are eating your investment, or you would just like some peace of mind – give us a call on 0428 638 925 and book an inspection today!